As in 2010, the 2009 competition was open to students of all schools of architecture or interior design internationally. Entrants were invited to submit projects addressing healthcare topics completed during the course of their studies, or alternatively to adopt a sample brief supplied by Architects for Health. In order to achieve the initial goals, the judging criteria were developed to partially suppress the demands of practical healthcare design and enable the more poetic experiments of contemporary architecture students. However, it would also be counter-productive to ignore all purely pragmatic, specifically health-related design issues in favour of the esoteric ponderings of students. Therefore, neither approach excluded a project from winning. Picture Credit Below: ‘Embedded’, by Orit Balicer The Bezalel Academy of Art and Design, Jerusalem, Israel. 2009 Submission. AfH are particularly keen to celebrate when a proposal has engaged with the experience of staff and building users, asking: what it will be like to be inside this building? And how will that effect healing on a one to one scale? 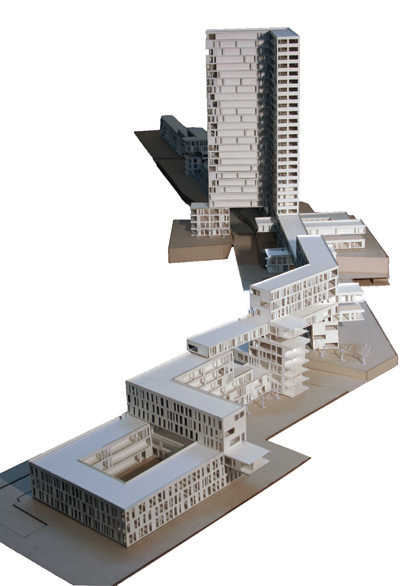 The criteria specifically stated that a ‘crudely elevated massing model’ would not fulfil the criteria. The panel were instructed to judge individual projects against the brief and the program of the building type they chose. However the first three years have witnessed the development of briefs in order to test how they can benefit the needs of architectural academics and practitioners alike. Creativity – Had the student imaginatively explored the brief to deliver an interesting proposal? Patient/Staff Centred – How had the applicant considered the experience of its clients? Aesthetic – Does the visual resolution of the project suggest a suitable response to the brief, be it an elegant synergy of function and expression or a logical response to context? Graphic Quality – Does the quality of the graphical submissions support a comprehensive, sensitive and detailed investigation of the subject? Guidance (HTMs, HBNs, etc) – Any technical advice or regulation unless specifically invited on board by the student’s choice of brief. First came the short-listing process, which reduced the initial eighty entries to eight. Entries were received from all over the world, with the eventual shortlist representing students from China, Ireland, Germany, Denmark and the UK. The judges were then provided with a pack of material to peruse prior to the event, before meeting the other panellists and finally electing a winner. The judging panel included a broad spectrum of backgrounds and professional skills: medical practitioners, architects, architectural tutors, the sponsor and the 2008 winner, Elaine Neish, who comments: ‘The judging process was exciting for me to take part in – to be on the ‘other’ side so to speak. Much more of a relaxing and enjoyable evening than having to present the year before! It’s great to be included on the judging panel as you hear a plethora of responses from the medical side as well as other peers’.